Ouagadougou, Though Small Won’t Fit into Kinshasa? Whatever closeness and relationship between nations and cities, it remains debatable that applying blindly an event that led to success from one city to another would inevitably fit. Burkina Faso, especially its capital city Ouagadougou is currently taking the lead of what may be called “Sub-Saharan Spring” as compared to Arab spring. The large non-violent demonstration that ousted President Blaise Compaoré last month continues to draw attention from different people, nations, leaders and politicians. It is even being referred to as a model to be copied and pasted in different countries facing problems of constitution revision in a near future. Since the ouster of Burkina Faso’s president, different voices are being raised to support the people’s willingness and constitutional respect, especially when its change benefits individuals and rulers. Sometimes, mentioning Ouagadougou’s model looks as inciting people to forcibly demonstrating and expressing their anger well before any announcement or decision from rulers. Last week, Burkina Faso’s model went severally mentioned during the XVe summit of the ‘Francophonie’. From heads of state to local political leaders, referring to Burkina Faso’s case seems as awakening the huge frustration and concerns over constitution revision. In the specific case of Kinshasa, voices have started to mount in order to prevent a possible and probable constitutional revision for the forthcoming 2016 elections. It is in this regard that opposition leaders in DRC had also taken the opportunity to support and recall local population to remain vigilant over any attempt to revise the constitution. This article tries to point out few concerns over the fitness of Burkina Faso’s model within the DRC’s socio-political context. It recalls that a manipulated revolution wouldn’t unlikely succeed. Finally, the blogger thinks that there are some discrepancies between Ouagadougou and Kinshasa that needs to be counted for when copying and pasting the former’s model. Otherwise, if it has to be taken as role model, DRC’s population would have to wait for another decade to claim the respect of the constitution. What is the argument? BurkinaFaso is a small country of roughly 274 200 Km2 with 17 322 796 population. Its capital city is inhabited with around 1 626 950 population; that is, Ouagadougou is 10 times as small as Kinshasa. The Ousted president has ruled the country since 1987, meaning his regime ruled over the country for 27 years. Since 1987, Burkina Faso has likely remained stable without military coups as well as slight armed violence. In addition, President Compaoré has ruled his country for more than two mandates since the country entered under the democratization process of 90s. 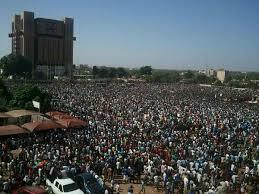 That is, Burkina Faso has held presidential elections in 1991, 1998, 2005 and 2010. It’s until the population has found unbearable the continuation of unique president, for approximately a quarter decade that mostly the youth has decided to march into streets to call for the constitution respect. In the meantime, the role of military forces as well as the choice of Blaise Compaoré to avoid streets bloodshed might have played a key role in defining how the demonstration has succeeded. Compared to DRC, from my viewpoint, the Burkina Faso’s model looks unlikely fitting. The lengthy period of unique president ruling the Burkina Faso; the country’s stability since the military coup that took Sankara’s life in 1987, the spontaneous response from Ougadougou’s population to invading streets as well as military and security services’ stance on what was happening on the street are specifically the key differences between these two cities and countries as well. Consequently, when predicting what would happen if the ruling party in DRC intends to change the constitution, these features have to be taken into consideration. 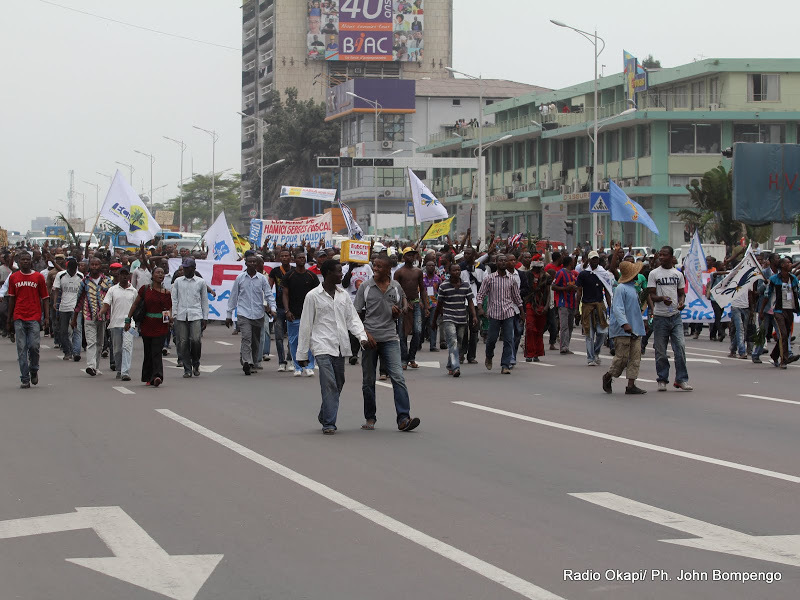 The blogger believes that Kinshasa, capital city’s population is likely to determine the trend of what would happen in case President Joseph Kabila decides to run for another mandate. However, despites Kinshasa’s population heterogeneity, the socio-political context of DRC might not be ready to organize such demonstrations. On one hand, opposition parties are confronted with internal dissensions as well as unconvincing political program that would induce synergy and harmonization of their voices. On the other hand, opposition leaders are likely behaving as opportunistic, pointing out the case of Burkina Faso as if they are calling for incitement; while revolutions from uprising would likely lead to success when they are originating from willingness than being incited. Otherwise, people do feel like being treated as immature. Moreover, the background of most opposition leaders may constitute another challenge for bringing capital cities’ population to invade streets. Additionally, the socio-political context of DRC, having a form close to ethnic communities’ relationship, it remains easy to convince or dissuade people through ethnic connections. Furthermore, the success of any probable uprising as intended by opposition leaders and some leaders of the civil society will likely be confronted by the recent experience of armed conflicts in Congo, especially in its eastern part. Consequently, when considering a possible uprising and invading streets, most of people will refer to the context of violence and armed confrontations during the two last decades. This implies the fragile context and how it’s easy to get it manageable. The army’s role and security services as well as the sense of avoiding bloodshed are also determinants. In any case, there is a need to consider as a “must” the constitutional respect. It worthwhile to point out that we don’t need to consider some individuals as irreplaceable. Such attitude is rather a blind mind that makes us to believe that some people are very special as compared to others. However, we never need to behave in a way because others have done it. Nonetheless, we need to maturely understand and analyze our problems for finding their appropriate solutions. The reason is, from my viewpoint, DRC’s problems are mostly related to the inappropriate political-administrative system and institutional weaknesses than an individual problems. Thus, solving the DRC crises won’t inevitably coming through imitating decisions of streets; it is rather a matter of discussing on what it’s the easiest way of providing services to local population while complying to fundamental law. It may also be predicted that streets’ responses can worsene the situation so long there is no foundation of how the country would be ruled if…. You may have another point of view, please share with readers. Your comments are constructive. Previous PostCohésion Nationale ou Représentativité Communautaire: Banyamulenge Seront-ils Récompensés pour Avoir Opposé le M23 ?Next PostGouvernement Matata 2: Cohésion Nationale ou Représentativité ?